I’ve been searching for a drugstore primer for several months now. My first impressions of NYX Pore Filler were positive, however, I couldn’t escape the fact that it didn’t completely wow me like Porefessional did; the undisputed holy grail of primers. I’ve also tried L’oreal’s Infallible Mattifying Primer, the SEVENTEEN Skin Wow Primer and Rimmel’s Lasting Finish Primer, however, they didn’t perform anywhere close as good. My most recent purchase is Soap & Glory’s One Heck of a Blot Instant-Perfecting Power Primer which was introduced to me through Laura Lee’s YouTube Channel. One Heck of a Blot claims to contain ‘Shine-Bloc 12HR Matte Spheres and Pore-Shrink Technology’ and markets itself as ‘the secret to perfect shine-free skin’. Its packaging features Soap & Glory’s signature shade of baby pink, beautiful vintage pinup girls and cheeky slogans and retails at £10 for 30ml of product. Is it me or are ‘drugstore’ brands becoming more and more expensive? Just a thought. The gel-like cream applies effortlessly, absorbing easily without leaving any residue. I often find silicon-based primers tend to coat the face or, in the case of Nip + Fab’s Viper Venom, break away and ball-up when foundation is applied on top. This primer leaves the skin feeling soft and looking instantly more matte. 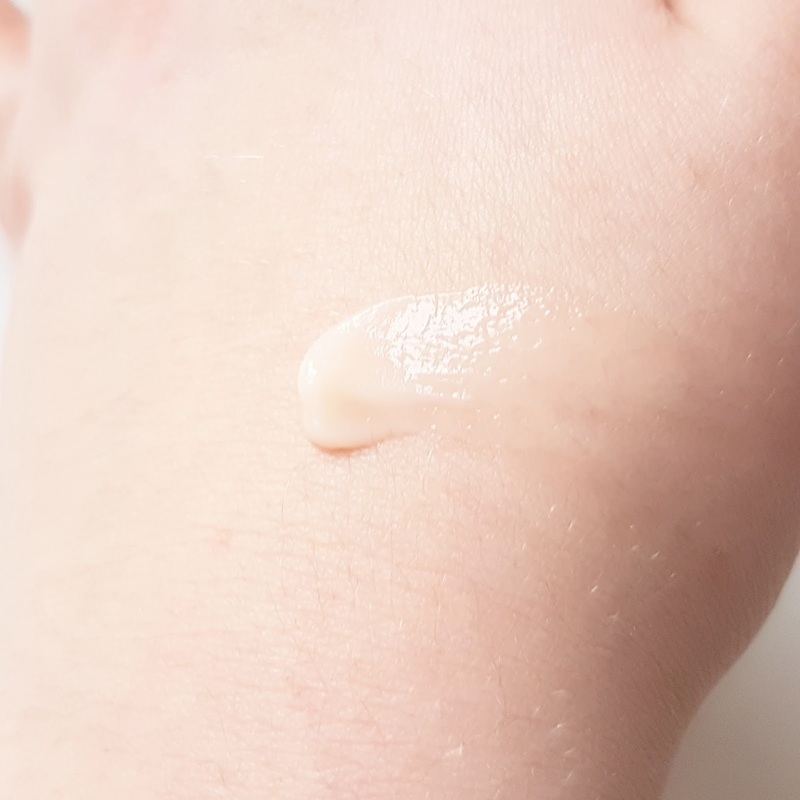 I am actually really impressed with this primer, more so than anything else on the highstreet. Although I don’t see a remarkable difference with the appearance of pore size, it is amazing at controlling shine and increasing the longevity of my makeup. My forehead, chin and nose can become very oily which makes my makeup become patchy in these areas, but One Heck of a Blot provides the perfect canvas to both apply and maintain my base products with very minimal powder touch-ups throughout the day. As with most primers, this one can be worn alone or under makeup. I’ve never fully understood why anyone would wear a primer without applying makeup on top, however, One Heck of a Blot is so mattifying and hydrating that I find myself reaching for this even on makeup-free days. This is the only highstreet primer (so far) that I will be repurchasing and I highly recommend it for anyone with oily skin prone to shine. 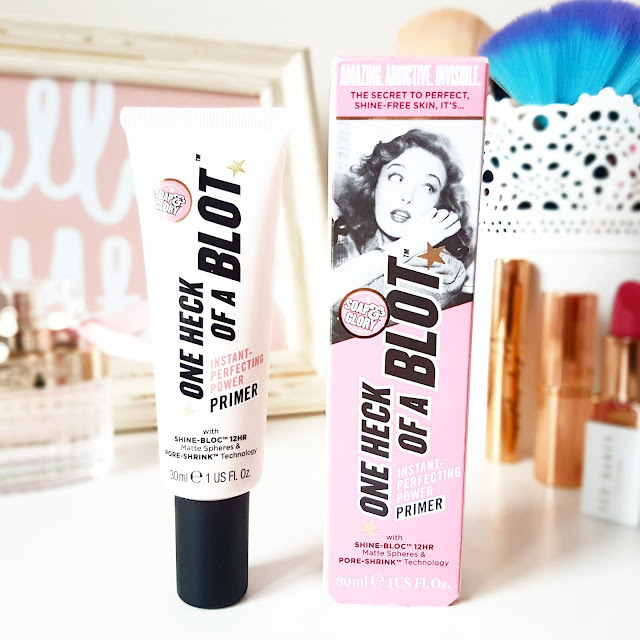 The Soap & Glory One Heck of a Blot Instant-Perfecting Power Primer is available here and retails for £10/30ml. "Grab a Cuppa | Posts I’ve Enjoyed Reading This Week #1"
"The £2 Highlighter Everyone’s Talking About | Technic Get Gorgeous"